Matching Tattoos: Are They Ever a Good Idea? Some best friends make friendship bracelets, just like how some couples get each other promise rings. There are plenty of ways to show your commitment and love for another person. While bracelets and rings can easily be taken off, some people decide to take the plunge and get matching or group tattoos. Nothing says commitment like getting matching tattoos, right? 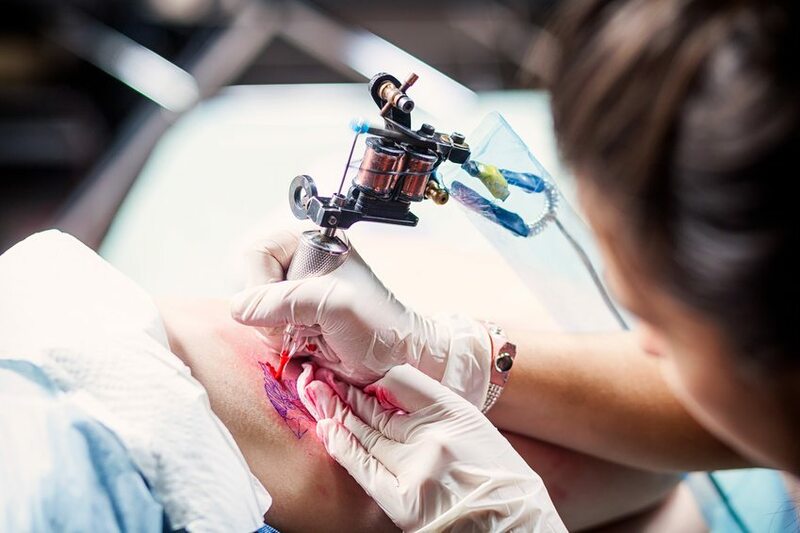 While getting matching ink is one of the most permanent expressions of love and commitment, it’s important to thoroughly think about what you’re doing before heading to the tattoo parlor. To help you decide if matching tattoos are the right option for you, this article is going to discuss a few important factors people should consider before getting matching or group tattoos. Who this person is to you: People get matching or group tattoos with all kinds of people in their lives. But whether it’s your significant other, your best friend, or a family member, it’s important to really think about who this person is to you. Do you really see them being in your life forever? Unfortunately, not all relationships last forever. It’s important to consider this when planning your matching tats. Size and placement: If you’re thinking about getting matching tattoos, it’s always best to go on the smaller side. You don’t want to get your boyfriend’s name tattooed in huge letters across your chest, just to break up the next week. This can lead to major tattoo regret and having to get a cover up or tattoo removal. However, if you get something small and in a location that isn’t exposed all the time, it may not be as big of a deal if the person with the matching ink is no longer in your life. So overall, it’s important to think about how the size and placement will affect your life if you have a falling out with your friend or significant other. Meaning behind the ink: If you get each other’s initials or names, it’s going to be pretty difficult to explain that the person whose name is permanently on your skin is no longer in your life. Tattoos that are dependant on the other half can be tricky to deal with if there’s a bad ending to the relationship. But if you get a tattoo that can stand alone, you won’t have to worry about that as much. However, it’s important that the tattoo does have meaning to you and the person getting them together. Matching tattoos can be a great way to really prove that you care about someone. But it’s a big decision to make. Seeing as how about 11% of people with tattoos had one removed, tattoo regret isn’t always avoidable. But if you put a lot of thought into the tattoo and truly care about the person you’re matching with, all that really matters is your feelings about your new ink.